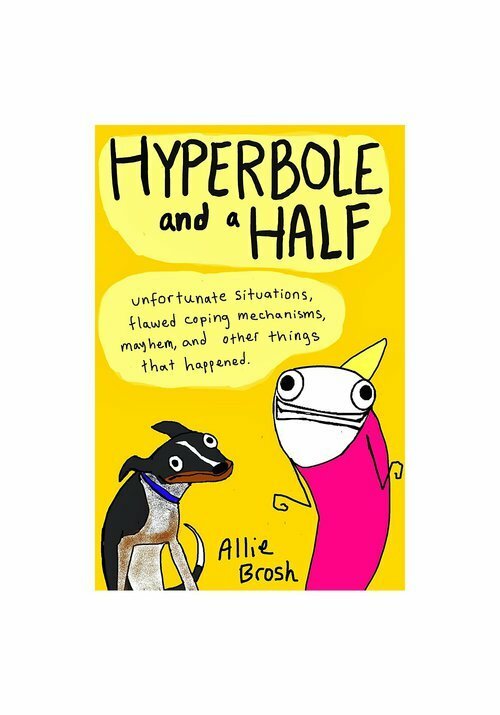 Hyperbole and A Half is a blog written by a 20-something American girl called Allie Brosh. She tells stories about the mishaps of her everyday life, with titles like 'Why Dogs Don't Understand Basic Concepts Like Moving' and 'The God of Cake'. This book chronicles the "learning experiences" Brosh has endured as a result of her own character flaws.